Does Zodiacal Releasing work? Here I present my findings from examining my own chart with respect to ZR. All screenshots are from the iPad app AstroConnexions. As a result of recent translations of ancient Greek texts that have been carried out over the past 20 years, a set of ancient timing techniques have been recovered known as “time-lord” systems. One of the most impressive and powerful time-lord systems that has been rediscovered so far is known today as zodiacal releasing. Zodiacal releasing divides a person’s life into chapters and paragraphs, as if the life was a book, and you were able to read the narrative of the native’s life like you were reading the outline of a biography. Each chapter in a native’s life begins with the activation of a specific planet as a time-lord, as well as the sign of the zodiac ruled by that planet. Once all of the time-lord periods for a person’s life have been calculated, the technique can be used to identify periods of heightened importance and activity with respect to the native’s overall career and life direction, otherwise known as “peak periods.” The technique also provides information about which periods of the native’s life will tend to be experienced as the most subjectively positive or negative, career transitions, and other important life turning points. 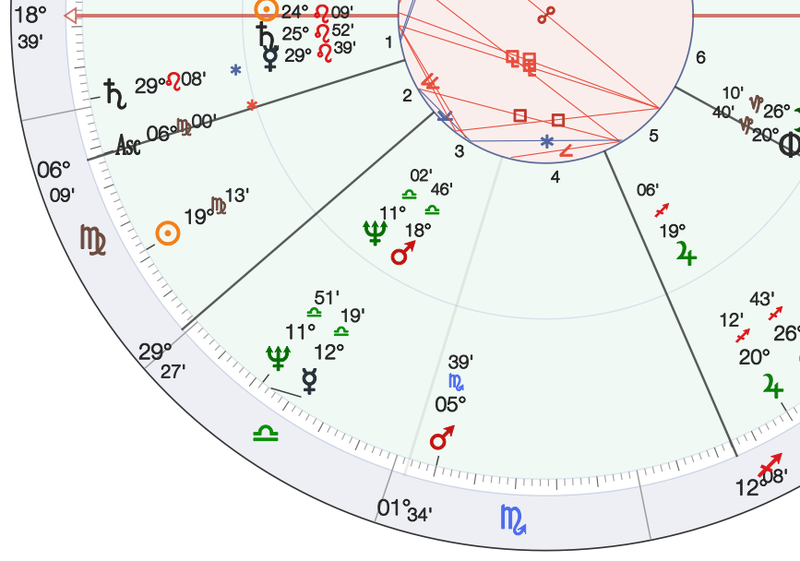 Sun square Jupiter, 1974/1975 – amazing spiritual revelations and change of life direction. Sun is trine to Jupiter, in the radix. 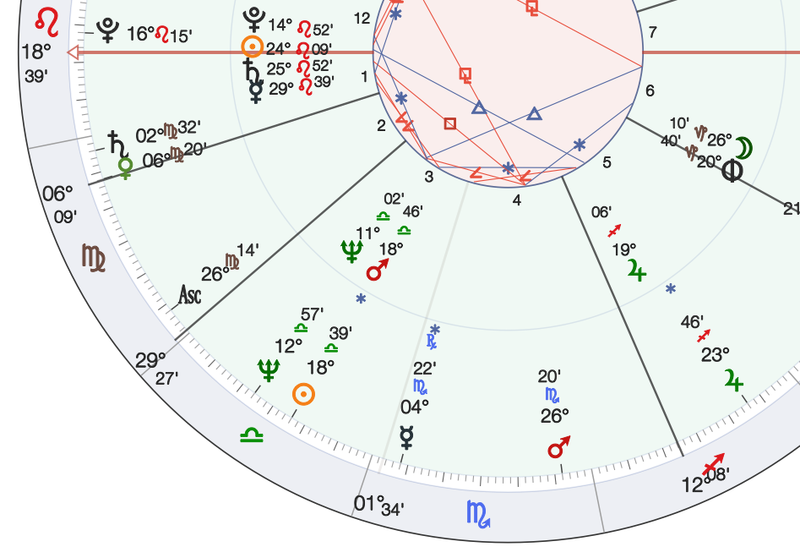 Sun conj Mars, 2004 – disaster. 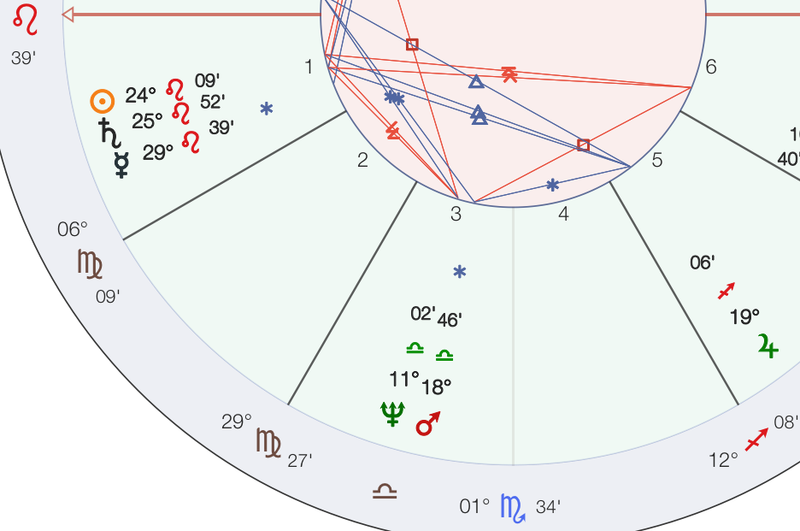 Sun is in its fall, Mars in its detriment. Both in a cadent house. Both aspects were profound learning experiences, and the events were the most significant in my life that affected me for many years afterwards. With Leo rising, Sun in Leo it doesn’t take much thought to understand that sun progressed aspects to natal points/planets are going to be significant. Applicable Natal part of my chart. Placidus houses.